Middlesbrough midfielder Jon Obi Mikel has won 85 caps for Nigeria. Nigeria coach Gernot Rohr hopes Middlesbrough midfielder John Obi Mikel can lead his country to Africa Cup of Nations success later this year. The 31-year-old hasn't played for the Super Eagles since the 2018 World Cup, where he started all three group games as captain. After leaving Chinese Super League side Tianjin Teda earlier this year, Mikel has dropped off the international scene, yet his move to Boro could trigger a recall. Mikel has won 85 caps for his county and helped Nigeria win the Africa Cup of Nations in 2013. The Super Eagles have also qualified for the 2019 tournament in Egypt later this year and Rohr hopes Mikel can play a part in the competition. “That’s what we want for all players. They should keep playing well with their teams and keep doing well. The tournament, which starts on June 21, won't coincide with Boro's promotion push, with Tony Pulis' side sitting sixth in the Championship. Mikel has played two games for Boro in the league, impressing against promotion rivals West Brom and Leeds. Pulis' side will face another tough test when they make the trip to third-place Sheffield United tonight. 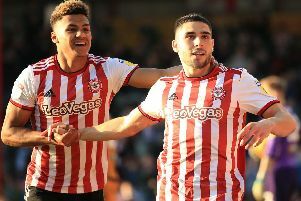 The Blades let a three-goal lead slip at Aston Villa last time but Pulis has been impressed with Chris Wilder's side this term. “We’ve had them watched the last couple of weeks and their performance and their energy," said Pulis. "If you look at the teams at the top of the table, their fitness levels and their energy, and even Leeds on Saturday, were exceptional. The ones who got away: What happened to Middlesbrough's reported transfer targets and where are they now? “Sheffield United are exactly the same; they’ll play for 90 minutes, they won’t play for 30, 40, 50 minutes, they’ll play for 90 minutes. “This year they’ve gone a step better and they’re a much more settled team and they’re a good team.